- How do I log in? You can't. The login is only for site administrators. - As this covers suggestions as well as errors, discussion is allowed in this thread. - This database does not include Dark Age availabilities for units published prior to TR 3085. - The entire Camospecs/Iron Wind Metals feature is still being worked on (as in: the entire way it works could change). We're not going to be dealing with individual issues on this for a while. - Corrections not touching on the above are welcome. However, please provide a page number and/or direct quote to support your case. "Faction X should have this because I said so" is less than helpful and will likely be ignored. - If you have corrections for a unit entry, include a direct MUL link to the unit in question in your report. - If it's a BV or Alpha Strike stat correction, please enclose or attach your entire calculation and how you made it (by hand, SSW, MML, Heavy Metal etc; include version number of any software used). Please keep your posts concise and polite. Posts that do not follow these rules will be deleted. Thank you. 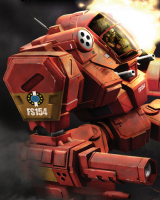 - The Master Unit List is a free product that contains the latest Battle Values, Alpha Strike stats, faction availabilities, and introduction dates for as many units in BattleTech as we can manage. - The MUL is official and fully canonical. At the same time, it is a living document, continually being updated to best reflect all available sources. - If a unit appears on the MUL, then enough validation was done to determine that "Yes, this unit existed and is not pure rumour." This does not mean that said unit will ever see its stats published: that is not the purpose of the MUL. The MUL's primary purpose is to provide an official list of all known units in the universe, and their faction availability. - That something is not on the MUL does not mean it does not exist. The concept of "the needs of fiction" still apply to the BattleTech universe. Not every factory, vehicle and handgun in the universe has been documented, nor will they ever be. The MUL is what we know: what has been documented in canon. - Unlike the MUL, Sarna.net is not a canon source. If Sarna lists a unit and the MUL doesn't, then the MUL is most likely correct (though we certainly do make mistakes, which this thread is here to collect and correct). The MUL has access to internal information that Sarna does not. Homeworld Clan and Late Succession Wars data is now available. Star League and Early Succession Wars data is now available. Alpha Strike PVs have been updated to the newest version. Thanks for these, Mordel. If you think you know where the error is, that would be helpful in our analysis. Often these turn out to be bugs in the code for MML or SSW. You can ignore this one. I didn't notice the legs had different amounts of armor. When I change the right leg armor to 22 per the record sheet, my calculation is likewise 1,147. So the MUL is correct (sorry). SSW calculates the sword BV to be 15.53. My calculations and MML calculate it to be 31.05. I don't believe SSW accounts for the TSM, doubling the damage of the sword and thus doubling the BV. Unfortunately, the BV for this between my calculations, SSW, and MML all match at 1,586. So perhaps what is in the MUL was just a typo? The difference appears to be due to the fact that SSW calculates the hatchet at a BV of 28.50, whereas MML and myself have it calculated at a BV of 57.00. It appears SSW is not accounting for the increased damage due to TSM. Verified and updated. Thanks mordel. 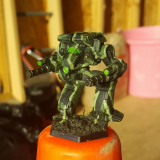 This is listed as the "Uni ATAE-70M MilitiaMech" in the RSVA IndustrialMechs and Exoskeletons pdf on page 95. 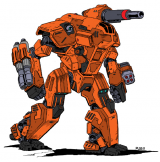 On page 228 of TRVA Revised, its also called a "MilitiaMech" rather than a "CargoMech MOD"
On page 45 in Wolf and Blake (and on other pages, that's just the main), the character's name is "Achillius" His mech is named the same way. Change the name from "Achilleus" to "Achillius"
I left this one alone for now. The record sheet has it as Achilleus. I also found it in other places in the book as that. There is one more reference with it spelled as Achillius than Achilleus. There is no errata for it. I dropped a question for Ben in the ask the writers forum. Once we get confirmation either way, we can put it in the errata thread and, if needed, change the MUL. 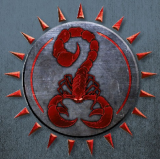 OK, with Homeworld Clan data now available during the Civil War and Jihad eras I've taken a look at the availabilities for all ProtoMechs and compared them with notes of my own. I found a few discrepancies which might be worth looking into. Keep in mind that most of my "sources" were RATs, since ProtoMechs were never really fluffed out one way or another. Found a simple typo tonight regarding the Batu [Z]. Among the listed specials is "VTOL"... which is not a valid Special. This is listed as "Introductory" but the Record Sheet on page 319 of the RS3050U-C has it armed with ER and Pulse lasers. Fix is to make it atleast Standard. That's what the Record Sheet says (or atleast it doesn't say anything other than "Inner Sphere"). The problem is the RS doesn't say how to make the design exactly, and the Fuel is listed as "3 points" which is obviously wrong. If that 3 points means tons instead, then I THINK the design has to be made with a small aerospace cockpit, which would make the design Advanced until 3081. "If rumors of a high-performance teleoperated version are to be believed, it is quite possible that the additional room normally taken by the cockpit could allow another laser system or even higher-grade weapons." Drone perhaps? Checking, but yes, I'm thinking it needs Advanced at least. GreekFire: I'll look into them. The difference is due to the fact that MML and SSW both calculate the explosive equipment penalty as -11 whereas I calculate it as -2. The reason for this is because only 2 critical slots of the HGR is located in the CT. The other 9 are located in the LT, which is protected by CASE. This situation is covered under the Critical Hits sub-section on page 136 of TW. Since the explosion happens in the side torso only (because of CASE), the damage would not transfer, and thus the 9 HGR slots in the side torso should not be considered for explosive equipment. I'd like the Intro dates checked for the Rifleman RFL-3N and Rifleman II RFL-3N-2. It seems to me that the RFL-3N should be around LONG before a "II" version of it is invented. The gap between the -2N's intro date of 2556 and the -3N's of 2770 seems pretty profound. This should perhaps be changed to around the time the RFL-3N-2 was introduced, with proliferation to the Member States at the original date of 2770. This is due to the fact that SSW did not factor in the modified damage for the sword as a result of TSM. Minotaur P2, per TRO:Prototypes it has Magnetic Clamps, so it's AS card should have the MCS special ability. Verified and updated. Thank you very much. severla crosscut variants need cards generated. Most of vehicle annex IMs needs stats except those already in Operation Klondike. Please review the Rokurokubi RK-4T damage line. I believe it should be zero for the long range bracket. It has a long range damage of 1, but is only equipped with a light AC/5 which does damage up to medium range. If this correction is valid the point value should come down to 25 as well. The Raven RVN-4LC is stealth armor on the reconrdsheet but not Stealth on the AS stats. Another request for review. The Awesome 11M has a OV value of 2, I believe this should be zero. The design has a max heat of 42 (x8 LPPC @ 5 heat each, plus 2 running heat) and carries 20 DHS. This would reduce the point value to 42 if it is correct. STL added, PV adjusted to 26. Correct, L and PV, thanks. This is due to the fact that SSW did not factor in the modified damage for the retractable blade as a result of TSM. Based on this conversation I found nothing about PPC with capacitors having special rules. As such the conversion table in the AS companion lists LPPCs as 5 heat with 0.5 damage each. I thought so as well (hence why it had OV2 in the first place). But both SO and ASC list the light ppc with capacitor as 5 heat.